InsiderNike is allowing more customisation of its sneakers. Nike recently released its new 90/10 pack sneakers, which are unfinished Nike sneaker designs that customers can complete. The idea is that Nike has done 90% of the design, and it’s up to customers to finish the other 10%. They came in Huarache, Special Field Air Force 1 Hi, Air More Money, Vandal Hi Supreme, and Air Force 1 Low models, but they have since all sold out. It shows how Nike is embracing customisation in sneaker culture. 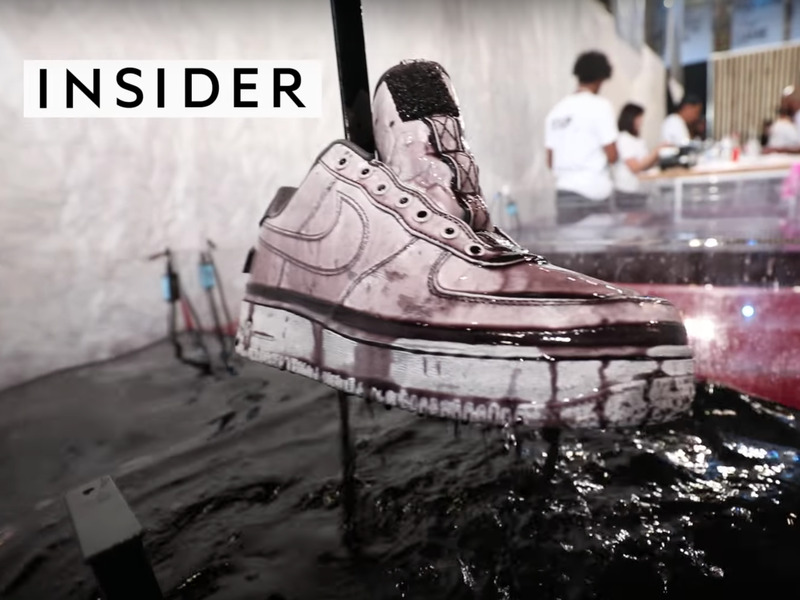 INSIDER recently got its customisation on at an exclusive Nike event, where they were able to customise their Nike 90/10 sneakers in all kinds of fun ways. Glitter, paint, wacky laces, colourful swooshes – nothing was off limits.